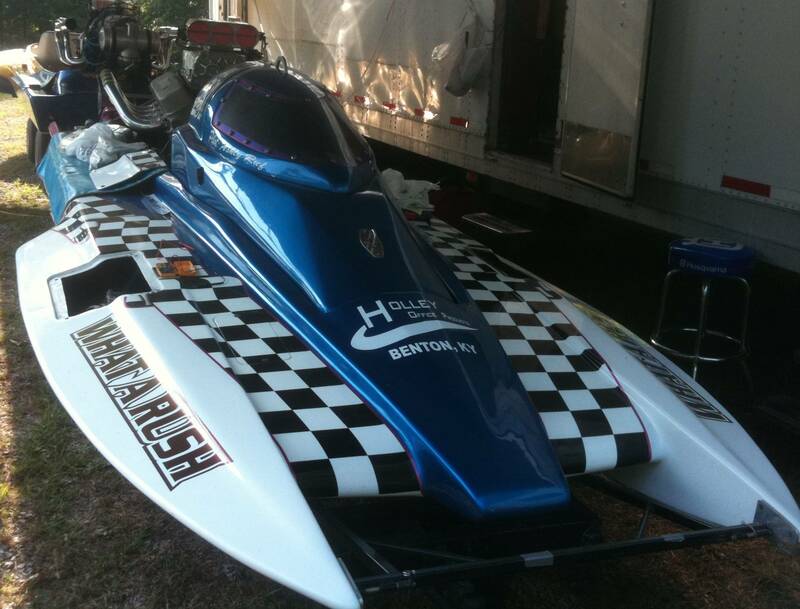 After fourteen years of racing, the RushDragBoat, LLC 2011 season will have Ashly Ruf driving. Ashly Ruf will be driving the 281 What A Rush boat in the 2011 season for John and Wade. Keith Ruf and Wade Wallace will be tuning for Ashly. DJ and Dave will help with motor service. Thank you to all of the people that help with this race team. In the 2009 season, with Wade Wallace driving the Hondo in the 9 sec class, came in second in the KDBA points. A $25.00 donation will get your name on the RushDragBoat, LLC trailer for the season. Click on links below to jump directly to different areas of the website. Champion Oil - Racing oil for the 1300 HP motor. Computech Systems - Drag Racing Electronics Superstore. Eagle Specialty Products, Inc. - High Performance Cranks and Rods. Lucas Oil - For all your lubricants. VP Fuels - For all your fuel needs. Nitro-Plate - It pays to run NitroPlate. NGK - The world leader in spark plugs. Monarch MFG. - Set up the 53 foot race trailer to hold the boats. Auto Meter - Insist on Genuine Auto Meter...the proven best. Security Race Products - Your safety starts here! MSD - For all your Ignition needs. ARP - Professional Quality Fasteners. JEGS - High Performance Mail Ordering. Brodix - Aluminum Cylinder Heads. N Zone - Custom Sports Apparel. Star Cards - Autograph Trading Cards. Carl's Automotive Machine Shop - Calvert City, KY.
Paducah Hose & Fitting - Paducah, KY.
May 21-22 Poplar Bluff, MO. (SLDBA) -- Race Canceled. June 4-5 Kentucky Lake, KY. (KDBA) -- *8.574 @ 126 mph* *8.556 @ 121 mph* Hydrolocked #8 cylinder. Rebuilding engine to hopefully make St. Louis race. June 18-19 St. Louis, MO. (SLDBA) -- Found lifter broken, fixed it, still not running right. July 9-10 Kentucky Lake. KY. (KDBA) -- First round Ashly cut .028 light but rocker arm broke at almost half track. July 29-31 Wheatland, MO. (LODBRS) -- Blew it up; motor was Rebuilt and Dyno'd. Aug 6-7 Kentucky Lake, KY. (KDBA) -- Motor still at Mother's Machine with Guy Orr. Aug 27-28 Livermore, KY. (KDBA) -- Motor was at the Dyno shop with Gary and I, making 1300 HP. 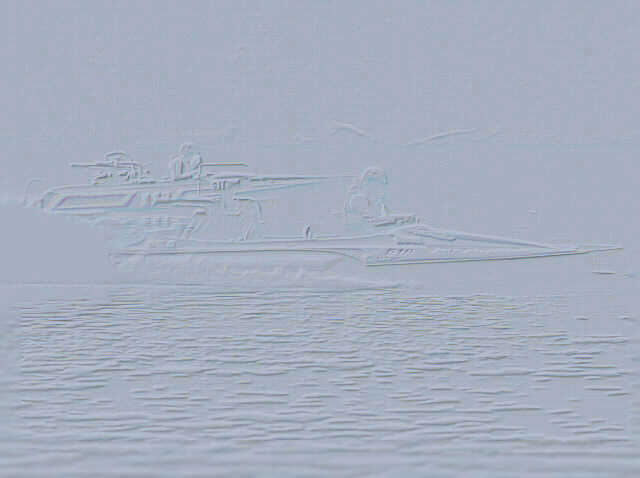 June 5-6 Kentucky Lake, KY. (KDBA) -- Camera battery went bad Sat am, so no video. Sept 11-12 New Athens, IL. (SLDBA) -- *8.2 sec* Need '65' gears for 2011. Would like to do the SLDBA races but we will need a sponsor to advertise their product with us at shows and races. Sept 29-30 Malvern, AR. -- We did not attend. 2006 - The race team did not race this season because we were building a motor for the RUSH boat and building a house to sell. May 21-22 Poplar Bluff, MO. (NDBA4) -- Jack Knee went 10.8 seconds @ 106 MPH for his first time driving. June 11-12 St Louis, MO. (NDBA4) -- *4th time driving* He did great. Jack Knee resigned as Crew Chief and Driver. Rushdragboat, LLC would not be where it is today without the help and dedication of Jack Knee. He is missed. Not bad for over 7 years since John drove the Rush boat on June 13-14 1998 on Kentucky Lake. Points Standings from SLDBA website. Full Race Schedule from SLDBA website. Aug 21-22 Evansville, IL. (NDBA4) -- *First round* Blower snout shaft broke during warm-up on Sunday morning. Sept 11-12 New Athens, IL. (NDBA4) -- *First round* 2004 SLDBA High Points runner-up Pro Eliminator. *First round* The wind picked up and track had two foot waves. June 21-22 Poplar Bluff, MO. (NDBA4) -- *First round* Went too fast for the 9 second class. Sept 6-7 New Athens, IL. (NDBA4) -- *First round* Went too fast for the 9 second class. Apr 26-28 Waco, TX. (NDBA3) -- *No pass video* Placed number 3 - Lost second round. June 22-23 Ponca City, OK. (NDBA2) -- No video and ran too fast (8.7 seconds). 2002 CSDBA High Points runner-up Top Eliminator. Broken key in V-drive. Traded Hondo hull for a Kurtis 500. *Not good* -0.028 red light in final round. June 2-3 St. Louis, MO. (SLDBA) -- *2 years later we will own* No results due to weather (high winds and rain). July 7-8 Harrington, KS. (CSDBA) -- *Second round* -0.280 red light in final round. Eliminated second round (cylinder #1 failure); 9.182 seconds at 122 MPH best qualifying run in 9.000 second class - on alcohol. Had to rebuild engine. Sept 1-2 Pine Bluff, AR. (CSDBA, SDBA) -- *Almost crashed boat* 8.8 @ 127 MPH fastest run ever. 2000 - The race team did not race this season. NOTICE: E-mail sent to these addresses must have the code 518454871 somewhere in the message body. Alternatively, send messages to us via the Guestbook. Guestbook messages are public. Include your e-mail address in your Guestbook message if you would like a reply. Videos best viewed with QuickTime (free player).